UPDATE: Starting February 18, 2019 (February 21, 2019, in Cebu), submission of GERMAN SCHENGEN VISA APPLICATION REQUIREMENTS must be coursed through VFS Global. We’re still gathering more details on the application process, so please check back in the future. After fulfilling a life-long dream of visiting Paris two years ago, I set my eyes on Munich. Funny because when I told my German friends on separate occasions that Munich is one of the top European destinations I wish to see, I had the same response. “Munich, dream city? Really?” they said while letting out a snicker. An inquiring word would follow, “Why?” I’m not sure, either, to be honest. I blame my love for football. I’ve been a fan of the German National Football Team since the Japan/Korea World Cup in 2002 as well as Bayern Munchen until Oliver Kahn retired in 2008. How long is the visa processing? 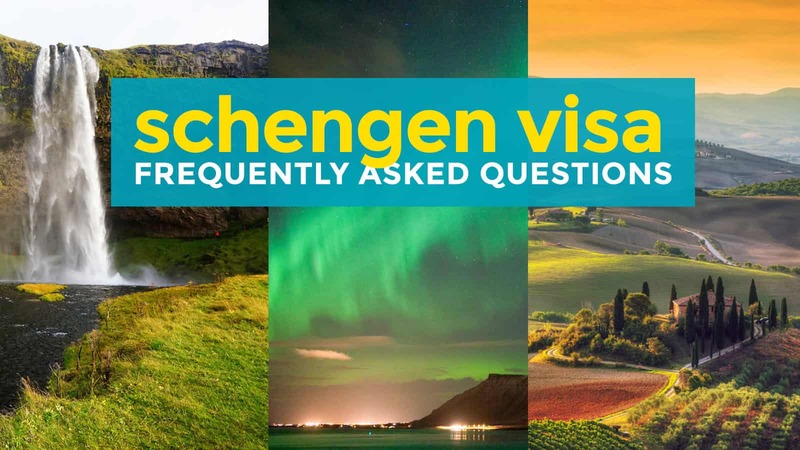 How long is the validity of the Schengen Visa? Should I apply for a single-, double-, or multiple-entry visa? Do I really need plane tickets before applying? What if I get denied? Sayang the pera. Do you have a sample daily itinerary format? Do you have a sample cover letter? I’m traveling to multiple cities. 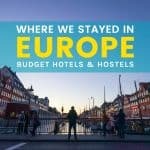 Do I need to provide hotel reservation for all the countries I’m visiting or for Germany only? But hold your horses. You can’t apply just anywhere. You need to figure out which embassy to lodge your application, and it will depend on the purpose of your trip or your overall European itinerary. The rule is, you apply at the embassy of the country you will visit or where you will be staying the longest if you’re visiting two or more countries. You’re going to Germany only and will not visit any other country. You will visit multiple Schengen countries but you will stay the longest in Germany. 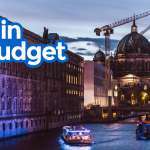 You will stay in multiple Schengen countries for exactly the same number of days, but Germany is your point of entry (first in your itinerary). You can’t apply at the German Embassy when the only country you’re visiting is France. You can’t apply at the German Embassy if you’ll be staying in France for one week and in Germany for two days. Many of my friends who visited multiple countries in Europe chose to apply at the German Embassy because they work fast and are generally more forgiving. Along with the French and the Dutch embassies, the German office is known in my travel circle as more considerate to applicants. I can attest to that. My whole visa application process went smoothly, and the officers that accepted our papers were friendly. Serious, yes, but pleasant and totally respectful. You can apply up to 90 days (3 months) in advance. While the German Embassy works quickly, it is wise to give some time allowance just in case they ask for additional documents. I noticed that requirements are almost the same for Schengen states. What varies is how they process it. For example, unlike the French Embassy which demands two sets of copies of each document, the German Embassy needs just one. While waiting for the date of appointment, gather the following documents, grouped according to type and arranged in the right order. You can also find the document checklist for tourist visa here and visitor visa here. Original current passport. Valid for at least 3 months from the end of intended stay and must have at least two empty pages. You must also submit your old invalid passports. One passport-size photo. White background. One fully accomplished application form. Fill it out online here. Print it out and sign it by hand. One copy of Declaration according to § 54 AufenthaltsG. Make sure you sign it by hand. Proof of relationship with the sponsor. These can be birth certificates, marriage certificates, written correspondence between you and your sponsor, and proof of telephone connections and other evidence of relationship between you and your sponsor. Invitation letter, containing the host’s exact address, the purpose of travel and the full length of travel and stay. Details regarding the means of travel for the outward and return journey (details regarding the airline), no flight ticket is needed. Your day-to-day itinerary. It’s best to write a letter explaining the purpose of your trip and showing your detailed itinerary. Indicate the places you will visit and tours you will take. Here’s a sample letter and itinerary. Flight reservation. Reservation ONLY. 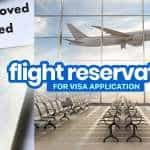 DO NOT PAY for flights until your visa is approved. 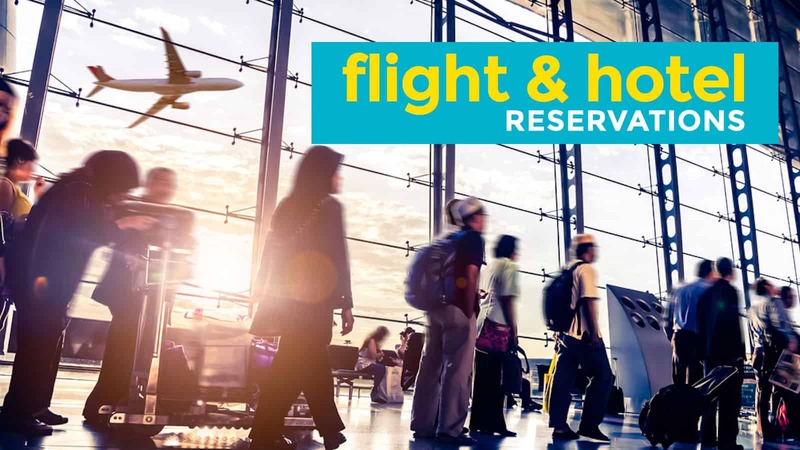 Find a travel agency that can reserve flights for you. They usually charge a few hundred pesos for this. We got ours from Gazelle Travel & Tours: Get Flight Reservation Here. Hotel reservations. You DON’T need to pay for your hotel this early. You can simply reserve rooms. I personally prefer Booking.com in cases like this because I can cancel or change my booking any time before the provided date without any additional fees. You can also get one from a travel agency: Get Hotel Reservations Here. You can get FLIGHT RESERVATIONS, HOTEL RESERVATIONS, and TRAVEL INSURANCE online! We got in touch with Gazelle Travel and Tours, a DTI-registered DOT-accredited travel agency so they could easily offer these services to our readers. Fee is also payable in Philippine pesos based on exchange rate at the time. Bank statement. Must show records of the past six months, with a confirmation by the bank. Other proof of income. Although not required, I submitted invoices and pay slip equivalent to prove that I earn enough to support this trip financially. Formal Obligation (both original and a Xerox copy) according to §§ 66-68 of the German Residence Law, given by your host at the aliens authority “Ausländerbehörde”) in Germany. Travel health insurance (for medical expenses and repatriation). Coverage must span the entire duration of the trip and must be valid for all Schengen countries. Coverage sum must be AT LEAST EUR 30,000. Philippine insurances must be accredited and given in the original and photocopy. German insurances are accepted as a photocopy or scanned copy. Certificate of employment. Must include employer’s full name, address and contact number, and explain your position or professional designation, income, and tenure. Leave of Absence Approval Letter. Signed by your employer or immediate superior. If you’re below age 18, the following must be met. Both parents must appear personally during the submission of the application. Parents must bring valid ID. DSWD Travel Clearance, if traveling without the parents. Whenever I apply for a visa, the first thing I do is book an appointment. Slots are filled fast and there are months when the earliest available schedule is a month later. It’s also my way of pressuring myself, LOL. Anyway, here’s how to get a schedule. Visit the official Appointment System Page and under the Visa, click on the link that says Continue. On the next page, choose Schengenvisa (click Continue). On the next page, click Continue at the bottom right corner of the page. You will then be asked to enter the Captcha code displayed. You will then be given a list of dates with available slots. Pick the best date for you. Remember, the processing takes 1-2 weeks. Don’t choose a date that is too close to your intended travel date. Save and print the Confirmation Page. You will need it when you visit the Embassy to submit the requirements in person. You’ll find the complete list of requirements above. Put them in the right order (as listed above). Register at the desk on the ground floor. You will also need to deposit your bag because only documents are allowed to be carried to the Application Center. Take the elevator to the 25th floor. Once there, turn to your right for a quick inspection. They will check your passport to confirm appointment. After inspection, walk to the other end of the room and you will see the mobile phone pigeonholes. Deposit your phone. You will be given the key. Enter the Application center and wait for your turn. Once your number is called, approach the appropriate window. You will be interviewed by the Consular Officer. Don’t be nervous. Relax and answer confidently and truthfully. They will get your fingerprints electronically. Just follow the Officer’s instructions. Fill out the 2GO form that will be handed to you. Write the address where you want them to send your passport. At the same counter, pay the visa fee. Make sure you have the exact amount to speed up the process. That’s about it. All you have to do now is wait. Processing takes 1-2 weeks. I got mine after 7 working days. For my co-blogger Vins, it was a different story. After over a week, he received a call asking him to email additional documents to prove his rootedness in the Philippines. The thing is, Vins has been a freelancer for almost a year now so he had no Certificate of Employment to send. Instead, he submitted via email a copy of another land title under his name and a copy of ITR from his previous employer. He also explained in the body of his message his situation. He got his visa after two more weeks. I think it depends on how long your trip is. When I applied at the German Embassy, my itinerary was good for 53 days. I was granted a visa valid for 60 days. But when Vins applied again recently, his trip was 7 days long, but he was granted a 30-day visa. Again, it depends on your itinerary and flight reservations. If your itinerary/flight reservations entail going out of the Schengen area once and coming back, then apply for a double-entry visa. If you will be flying our of the Schengen area multiple times, then go for the multiple entry visa. Please take into consideration all your connecting flights. For example, if aside from Germany you will also be visiting Iceland (which is a Schengen state) but you’re flying via London (which is outside Schengen), you will need to count that as “going out” of the zone. Key thing to remember is that double-entry and multiple-entry visas have to be justified. Don’t apply for a multiple-entry visa if you intend to stay in Germany the whole time. There is no need for your visa to be multiple and will probably just raise more questions. You can’t prove that you intend to return to the Philippines. You probably don’t have a stable job at this point, newly employed, or newly resigned, and it’s giving the impression that you plan on staying longer than your declared duration. You can’t prove that you can financially afford this trip. You or your sponsor may not be in good financial standing. Your purpose in Germany or Europe is unclear or dubious. This is why it is best to be specific when you’re detailing the reasons for your visit. Nope! Like I said before, you don’t need to purchase flight tickets. What you need are “flight reservations.” It’s not the same as actual tickets. “Reservations” are just proof that you have blocked these plane seats, and you can cancel these in case your application is denied. Some airlines can hold the booking for you. This is the format I followed. If you’re staying at hotels, you must provide hotel reservation covering the entire duration of your stay. If you’re staying in multiple countries, you must submit hotel reservation for all the countries where you will be staying, not just Germany. hi, i have query sana on the online application form.. under the Reference part… did you leave that blank or used Hotel? i’m quite confused there…any tips? Hello Yoshke. We are travelling as a group (me, partner and our 2 yr old son). Should we get different appointments or I can schedule one appointment and submit our documents together? Thank you! Would you mind telling the reply for this? Thanks. Hi Vivian, ang alam ko po, you need 2 separate forms and 2 separate sets of documents. Not sure about the appointment kasi di ko pa natry mag-apply with a minor/family pero I asked a travel agent and she said pwede raw na same appointment kasi minor, pero separate sets of docs pa rin. Di ko po yan sure ha, yun lang ung sabi saken, hehe. Hi Lea. The cheapest flights to Europe from Manila are usually with Turkish Airlines. Hi, is it a must to buy already a travel insurance prior to visa application? I found a website and it says the embassy will ask for travel insurance after you have been approved. Based on our experience (and all of our friends’), the insurance must be purchased prior to application. Hi! Just wanna ask to make sure regarding the proof of rootedness, it can be any of those right? Cause i wanna make sure if i can just submit Certificate of employment only not including the leOk ave of absence letter from the company. I would highly appreciate your answer. Thanks! Hi yoshke, im planning on going to germany because i will visit my boyfriend. I just have a question about the application form on the purpose of travel part. For the proof of relationship, do i have to have a copy of his birth certificate? And what is the written correspondence between me and my sponsor. And what is a written invitation? Should he make a letter addressed to the consulate? Your response will be very much appreciated. Hi I have a question regarding the cover letter. There will be 2 of us travelling and we will apply on the same date, is one cover letter enough or separate cover letter (but same content)? for the category as to where to apply. Germany , Switzerland and Italy and France have the same number of days. All of them, 5 days. Our first entry point is Netherlands. But among these 4 countries , Germany is the first in the itinerary. Should we apply in Netherlands or Germany? Hi Mark, regarding the cover letter, I think both would work and would be accepted. Just make sure you explain well the purpose of your trip. When you say “first entry point,” what do you mean exactly? Do you have a connecting flight in the Netherlands going to Germany? If so, I think Germany is still the right embassy. However, I’m not sure so best to confirm it with the embassy before you apply. 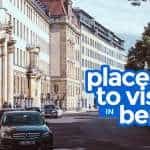 If you want to be absolutely sure, you can simply adjust your itinerary and extend your stay in Germany even just for 1 day. what if i dont have bank account? what documents i need to present? how much should be the amount of your bank account? Hi! Just a question. Pwede bang magfollow up ng status ng visa application sa German Embassy? Same q. Din po puede ba mag ask sa german embassy? Hi Chen! The itinerary I submitted is for 53 days, they gave me a 60-day visa. Previously, I applied for a 7-day trip, they gave me a 10-day visa. Hi ive read your blog and it helps me a lot to stay calm.lasr nov.28 2017 we had an appointment sa german embassy tatlo kame me my husband and my daughter ininvite kame ng sister at brother in law ko to visit them naipasa naman nmen mga documents ahm q. Ko lang kc may formal obligation naman na provide kaso mjo ung sagot ko sa tanung nia is hinde sgurado makakaapekto ba un?and normally sabe ni 1-2 weekz ang processing time kabado na kame kc 5 days na wla pa rin merong ibinigay na tracking no. Sa 2go kaso we dont know how to track pag nilalagay nmen ung 9 digits with letter duon sa tracking line “0” lang lumalabas anu po meaning nun? Hi Grace. Yes, your answers during the interview, malaki bearing nun. Pero I waited for just a week, Vins waited for 3 weeks pero approved din naman. So may chance pa rin. Good luck! Did you really follow the sample itinerary you posted above? How much did you spend? Hi Janette! Nope, the sample above is just that, a sample for this post. The sample itinerary that we submitted was much longer because our trip was 2 months long. Hi! i would like to ask what travel insurance do you have and how to obtain it. The only insurance i have is the one provided by our company and i think its not accredited. Thank you so much. Been using Pacific Cross insurance. No prob! Good luck with your application! Hello i have a problem with my australian visa i submitted it to canadian embassy and unfortunately got denied but they did not returned my documents including my expired visa in australia i did not also secure any photocopy of it. 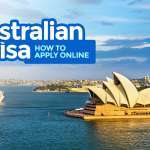 Do you think my chance of getting a schengen visa will be less because i have no australian visa to support? But i have a stamp on my passport of my travel to australia and a visa sticker ofjapan and korean visa. Im a bit down that i have no copy of my australian visa plus i got denied also in canada. Hi Christine, did you apply for an Australian visa online? If so, you should be able to access a copy of it in your Immi account inbox. hi, ask ko lang po if magaaply ng schengen visa, mother in law ko ung sponsor (but not a citizen of any schengen countries).. do i still need to provide my own ITR, or kahit certificate of emplyoment lang? Kailangan pa rin po, unless may valid reason bakit wala ITR. land titles/deeds, proof na may property ka sa Pinas. Hi John, in my case, I only booked the incoming and outgoing flights. I didn’t book the flights within europe before the appointment. It didn’t become an issue but I’m not sure if that’s the case for all applicants all the time. Hi we have the same situation ang pagka iba lang po namin is ang sponsor ko po is husband ko na US military na naka deploy sa Germany sya ang sasagot sa lahat ng gastos and also im currently pregnant right now. May chance po ba ang case ko? It’s not just a matter of gastos kasi. Yung finances, if sponsored, pwede na yung formal obligation. Yung sinubmit namin, reservations lang. Di pa namin binayaran. nag show ka ba ng credit card transactions? if yes, from the last how many months? Hindi na ako nagsubmit ng credit card bills. me and my husband are planning to travel together as a couple sa germany and other schengen areas so I booked the same time and date at the appointment. question is, will we be interviewed together or not? because my husband needs to be backed up by me because yung business namin sa akin naka panagalan although he’s the one managing it. Concerned kasi ako if we get to be interviewed separately, his supporting documents may sound weak. although he has a business too under his name pero d masaydo malaki puhonan compare nitong naka pangalan sa akin. Hmmm, feeling ko magkahiwalay. Not sure. hi! me and my husband are paying for our trip financially, not sponsored. I chose germany as my 1st entry point because I have an aunt who’s a citizen there so I need to see her first before going to other schengen areas, also it’s my last entry point because I need to see her before leaving europe. question is do i need to show to the embassy an informal letter from her inviting me and provide documents to prove our relationship? also, i chose from the application the answer ‘tourism and visit family and friends’ from the question what is your purpose of travel. Hi Inee, yes, I think so. You’d have better chances if you provide invitation letter and proof of relationship. Isa yan sa mga questions na talagang tinututukan nila, if may kakilala ka dun so makakatulong if meron kang proof of relationship and clear purpose of travel. Hello, is ITR really important? I am a freelancer too for 4 years now. Are property title (or Deed of Sale) and bank certificate enough to prove my rootedness in the Philippines? Hi Cliff, they usually ask for ITR talaga. if you can’t, you can submit other proof that you have a consistent or stable source of income. You can submit invoices or contracts that you have with your clients. Yes, I can submit bank statement, salary invoice (Paypal) and a letter from my client telling that I am working for his company since 2015 up to now. Anyway, can I use letter size paper for the documents? I know the standard paper size in EU is A4. Hi Cliff, they don’t specify paper size but we used A4 in our past applications to the German Embassy. Ok thanks. I printed the documents in letter size paper kasi, Anyway, do you have sample of german visa checklist? I really find this amazing because everything was precisely explained up to the smallest detail. Great job!! Please help how to correct the wrong email entered for an online appointment. Unfortunately my friend due to my mistake she wasn’t able to receive the confirmation of appointment. How can I correct this entry or should I make a new appointment by using same details? I just want to ask, necessary po ba yung cover letter? Ok lang ba yung statement of account na within 30 days na issued or do I need one that was issue within the week of appointment? I am applying for tourist visa by the way. Hoping for your reply. Hi Anne, yung sinubmit ko di naman within the week. Pero tinanggap naman. Hi! Just want to ask how/when do you pay for the visa processing fee? Is it during your interview date? Yayyy! Congrats! Family trip sa Europe! Nainggit ako bigla haha. Of all the documents does it need to have another copies of it? Hi Dawn, in our case, they just took one copy. But it’s always good practice to have an extra copy, just in case. Hi,im reading and analyzing your blog because im planning to apply for schengen visa!Im currently working here in Malaysia as DH!i travelled already in Singapore many times and Thailand as well!And now for my 30th birthday im Planning for European Trip!is it possible that they can approve my application or still low chances because i have a Domestic Helper working visa? hi there ask ko lang po nag apply ako sa german embassy last monday po den pag tues tinawagan ako na papabalikin due to my finger print status. is it an assurance pa po na approve yong visa ko? Depende po yan sa company nyo. Yung dati kong company, sila na nagpoprovide talaga ng letter. Yung isa naman, kailangan ako magsulat. Depende sa anong process ng company nyo. Ask mo na lang HR nyo. hello… i will be travelling w/ my friend tru europe… spetember ang visa sched ko tru french embassy.. do i have to declare it sa cover letter na may kasama ko ? besides sakin nakapangalan mga booking sa hotel which is kasama ko naman sya sa room.. we’ve been travelling together for years around the country and ASIA, mas maganda rin ba if I include our pictures travelling together as additional requiremetns to prove that we really travel together? Hi, just want to ask do we need to paste the picture on the application? And where to write the middle name of my husband? Or we don’t need to include that in the application. There’ s no area for middle name. Only surname at birth where I wrote my maiden name because it’s different from my present surname. But in mens case surname at birth and present are the same. Thank you very much. Yes, you need to paste the pic on the form. I’m not sure I understand your question about middle name. But in general, if there’s no space for it, if the form is not asking for it, you don’t need to provide it. 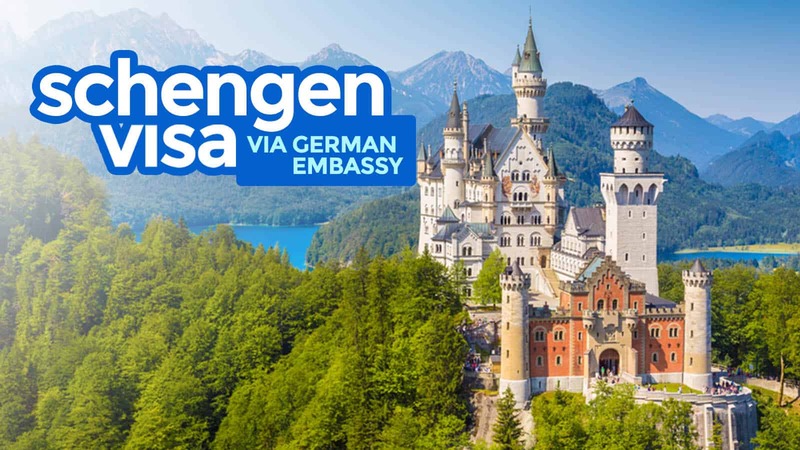 hello sir, we are planning to apply for schengen visa via german embassy this august, our entry point and exit point is germany, and we are planning to visit other schengen member states, what will be the visa that are we going to apply, single or multiple? cause im a little bit confused sir. thank you very much. Hi Carlos, if you’re not leaving the Schengen Zone, single entry only. Could you share with me all the countries you plan to visit so I could check? Hello Yoshke. My boss will be travelling with our client as a group. Should we get different appointments or I can schedule one appointment and submit their documents together? Thank you! Appointments are individual even if travelling as a group. hi, I want to ask if my mom needed to have a bank accounts, itinerary, and insurance or provided na un ng boyfriend nia which is a german residence or yung mom ko ang mag pro-provide ng lahat? kasi shes not working and she dont have ny bank accounts. thanks in advance..
Hi Blessie, ang alam ko need pa rin talaga ng mga yun kahit na sponsored. Hi Yoshke! I’m planning of using my joint account with my Dad for the Bank certificate and Statement of account to show financial coverage of the cost of my travel and stay. Do you think it’s okay to use joint account SOA and Bank Cert? or should I make an authorization letter para sure? ako lang kasi yung may balak magtravel sa Europe… Thank you. Hi Anne, I used my joint account with my mom when I applied. It was approved. I’m not sure if they really accept it or I just got lucky. If it’s not okay, they may have given me a pass because of my travel history. Hello! I’ll be a fresh grad pa lang from college by the time I apply so I won’t be having any work yet and my parents will be supporting and paying for the trip. Can I submit their ITRs and Land Titles and just indicate that in my letter? Hi John, what’s your purpose of traveling to Germany? And who are you traveling with? Hi Yoshke! Another question… I should bring all original and as well as photocopied copies of my travel documents, right? And original copies ba dapat yung ibigay ko sa Consul on my appointment date or pwedeng photocopies lang? Like yung ITR, okay lang ba kahit photocopy lang ibigay ko sa Consul or dapat original? Thank you. Hi Anne, in our case, kinuha original ng ITR, COE, and bank documents. Yung land titles (and work contract), yun lang ung photocopy lang pero chineck nila ung original. Thank you so much Yoshke! Pasensya na sa madaming question… one more question pala, when you signed the Declaration Form and as well as the Completed Application Form, what did you wrote sa place/date? Should I write Manila for the place? Thank you. Hi Yoshke! I’ve had my interview last July 18, 2018 and came back on the 19th for the additional documents which they have requested. Medyo kabado lang ako kasi wala pa passport and have been trying to track it but 2GO’s website says na invalid daw yung tracking number. Ganun ba talaga yun na invalid kapag ine-eenter ko sa 2go website? And how long does it usually take them to process? Thanks. Hi Anne, yeah, I remember having the same problem with 2Go. Always invalid tracking number. I read na you may email their customer service and provide in the body of your email yung tracking number na binigay sayo and then yung passport number mo since di raw naguupdate agad yung system ng 2go. Hi Arianne! Woow! Congratulations! I actually haven’t called my sister to check if may na-receive na sila from 2Go kasi nagre-rely lang talaga ako sa Tracking Number na binigay nila. Kaya lang almost everyday na yata ako nagta-track and tumatawag sa call center nila, it always appears as Invalid. I just really wonder why it’s invalid when it was given by German Embassy naman. Siguro nga it would be better to email them. Thank you Arianne! I’m really hoping and praying for positive results. Hi Yoshke! Medyo worried lang ako dahil July 19th yung date when I submitted the additional documents and 11th working day na today. Do you think I should call them or send them an email to check why the tracking number they gave me appear as invalid? or should I wait a little more? Thank you. Hi Anne, sa experience namin, laging invalid yung tracking number. hehe. Sa akin, ang 11 working days ay normal pa, kasi yung kay Vins, 3 weeks bago nabigay (15 working days). I would still wait a few more days. But go give them a call if it really makes you uneasy. hi hello..ask ko lng po.my interview on german embassy s monday..nag aalala lng ako.tungkol s bank of statement..wla nmn akong bank acct..ang magbbyad lht skin ung sponsor ko n asawa ng pinsan ko..ano p b ang need ko n requirements n manggagaling s knla..tsk magkno po b ang bayad s embassy? ?thank you po s pag sagot. Hi Salama. Hmmmm, as far as I know, mag-aask pa rin sila about your own bank account and financial situation, even if may sponsor ka. Tinitingnan nila ang bank statement not just para macheck kung afford yung trip pero para na rin makita nila yung stability and rootedness nung applicant sa Pilipinas. So kahit may sponsor, hindi guarantee iyon para maapprove. Pwede kang humingi ng Affidavit of Support dun sa sponsor para stronger ang case. Pede ka rin humingi ng letter from them explaining bakit ka nila isosponsor, kasi di mo naman immediate family member ang sponsor. Kailangan mo rin maexplain ng maayos ano purpose ng travel. hi gud pm..may bank ako kaso zero balance n sya..tas ofw ako kkauwi ko lng last july..wla akong ipon kc bumili ako ng lupa at nagpgawa ng bhy..pano kaya ito?? Hi Salama, wait pala, yun bang asawa ng pinsan mo ay nasa Germany? If German sya, submit ka na lang ng Formal Obligation. I’m planning on visiting Germany soon and my friend from Germany will be the one who’ll sponsor me. My question are 1) Do I still need to submit a hotel reservation even if I’m going to stay at my friends house or what alternative should I submit? 2) In proof of relationship with sponsor can I just submit screen shots of our conversation through facebook, skype and whatsapp? 3)On the proof of financial capacity will I only be submitting the bank statement and formal obligation from my sponsor? or do I still need to submit my bank statement and other proof of income? but I have problem with that since I don’t have bank account. 1) Do I still need to submit a hotel reservation even if I’m going to stay at my friends house or what alternative should I submit? —– No need. The documents needed when visiting a friend are listed in the post above. 2) In proof of relationship with sponsor can I just submit screen shots of our conversation through facebook, skype and whatsapp? —– Yes, you can submit those. But I think you’ll have a stronger case if you have photos together. 3) On the proof of financial capacity will I only be submitting the bank statement and formal obligation from my sponsor? or do I still need to submit my bank statement and other proof of income? —– “Or” yung nakalagay sa checklist so I guess hindi na. I’ve been trying to complete the VIDEX online form but it seems like its taking forever to continue. I tried saving it but the same thing happened. Naka hang lang ung system. Does it really happen? For the others I made, hindi naman ganyan. I’m worried tuloy. Hi Rei, didn’t happen to any of us on the team. Hi, quick question, I’m currently working po sa Vietnam. I have workpermit but no residence card. makakapag apply po kaya ako dto sa embassy ng germany? Hi Aivie, I have no idea. Di ko kasi alam ang rules ng embassy dyan sa Vietnam. Iba-iba kasi ang rules per country. Hello po.just wanna ask if maging problema pi ba yung bank acct statement ko po kasi wala na po laman yung acct ko..yung trip to Belgium po ay sponsor lahay ng Belgian boyfriend ko po.gumawa na po sia ng affidavit ofsupport to at sa letter nia sia lahat gagastos .ok na po kaya yun? Hi Caryn, pwedeng maging problem pa rin sya kasi you need to prove YOUR OWN financial capability and rootedness kahit na may sponsor ka. Can the cover letter exceed 1 page kaya? I’ll be travelling with my boyfriend. I’m planning kasi to write a detailed letter which includes an explanation about a discrepancy on my surname, why we chose the spots that we chose to visit, etc. We’ll be going to France and stay the longest in Provence. Baka kasi magtaka bakit di kami sa more famous spots pumunta. As much as possible, 1 page lang. You can explain why you want to visit the spots in your itinerary but go straight to the point and be brief. Hi Yoshke! Thank you for this detailed information and instructions. I always refer to your website on travel information. I have one question lang regarding the “validity” of the Schengen visa. When you said you were granted a 60-day visa with your 53-day itinerary, were you referring to the approved “length of stay”? 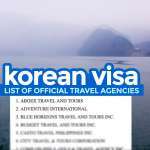 Like with the Japan visa wherein the visa validity is 3 months but the approved length of stay is 15 days. The reason why I am asking is because we are planning to visit Germany around May 20th next year and to stay for 15 days. 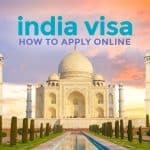 Is February or March too early to apply if, say visa is released after 7 working days? Thank you! Yes, I’m referring to length of stay allowed. hi Mhy! Pa-check na lang po sa taas. Nakalista po dun under C. YOUR TRAVEL PLAN, IF VISITING FAMILY OR FRIENDS. Pero pag boyfriend yung sponsor, malaki ang chance na magiging strict sila sayo. Is this considered single entry if my travel routes are Berlin -Munich – Salzburg -Prague -Berlin? Hi Yoshke, I noticed no one has asked about cruises. What kind of reservation proof can I give without shelling out the full cost of the cruise ? Once you book, you pay. Sayang naman ang payment if my visa isn’t approved! Also, what kind of visa do I need? Single entry? Countries in the cruise are: germany, poland ,lithuania, latvia ,estonia, st. petersburg russia, finland, sweden, denmark and back to germany. The only country not included in the Schengen area is Russia though this is only a 2day stay and covered with the 72-hour no- visa visit to Russia. Our entry/exit is Berlin, Germany. mandatory po ba ang travel insurance? Is the list of required documents for the application of Schengen Visa complete/updated in this link that you shared? A friend of mine applied last July 2018 but was not required to submit a flight reservation but was only asked for his itinerary. Although, he was sponsored by his cousins in Germany, is there a difference when submitting the requirements between a sponsored traveller and a “tourist without sponsor”?? Hi Jay, in our experience, when we applied as tourists on two different occasions, we were required to submit a flight reservation. I’m not sure about when applying to visit someone. The checklist for a visit visa indicates “No flight RESERVATION needed.” But for tourists, it reads “No flight TICKET needed.” So I guess there’s a difference. What I’m sure of is, if applying as a tourist, flight reservation is a requirement, based on experience. Thanks for your reply, Yoshke! What month did you go to Paris/Amsterdam? Did it rain during your stay? Hi Jay, Paris = September. It didn’t rain at all but it was a bit cloudy and gloomy. Lovely guide. Just one question, what if I have two bank accounts? Could I submit more than one bank statement? Can one include submitting a Statement of Account for shares of stocks of different companies bought thru an online stock broker, e.g., COL? Thanks. Hi J, yes, I think that’s accepted. Hello, how important is work in applying for schengen? Im planning to get a new job in a different company but i want to travel this year as well. So in case i submit a coe, it will say na ive only been an employee for a few months and not years. Btw, i was already granted before a greek schengen visa. Hi! Very important. It’s one of the things they look into. This won’t be your first company right? You’re just moving from one to another? You can just include a cover letter to explain that you’re new to the company but you have a longer employment history + travel history. I’ve done that before but via French Embassy. I was only 1 month with my new company when I applied, but I explained everything in a letter. This wont be my first company. Just transferring to another one. Is the german embassy strict? A little bit. But since it won’t be your first Schengen visa and bumalik ka naman, nagmamatter naman yun. Would you mind sharing the letter you submitter to the embassy? Naku, I don’t have it na. I tried looking for it sa files ko pero di ko makita. Baka nadelete ko na. I just wanted to ask if the ITR is required to be stamp? I complete the whole last year from my employer. Hi Den, if I remember correctly, when I applied, my ITR didn’t have BIR stamp. Are you an employee or self-employed? Di ko sure, pero I think pag Employee okay lang na wala basta may signature ng HR people nyo. Pag self-employed, kailangan meron. I’m an employee. Thank you for the info! Hi I applied schengen visa last February and it was denied the reason is my rootedness in the Philippines, which is I cannot give my COE as my nature work now is in the academe so my COE is per term what is the alternative documents I can show that I am employed ? How long have you been employed? Did the COE that you submitted state how long you have been with them? If I were in your shoes, I would write a letter explaining that although your contract ends and renews every term, you have been with your employer/school/university for X years. Aside from that, attach other proof of rootedness like properties, ITR, or investments. It doesn’t guarantee anything, but it will help build your case. Even the expired passport don’t have any stamps? Hi Den, ay di ko alam if kunin pa rin nila ung old passport pag walang stamp. Basta yung sa amin, kinuha nila. Hi Meenakshi, unfortunately, I have no idea about the requirements and processes for Indian nationals, as my experience is limited to applications in the Philippines. Sorry. Hope you find the answers. Now moving forward.. This time, applying for my Schengen VISA. My mom will be attending a convention in Hamburg this coming June. She’s planning to take me with her as my dad wants to give away his slot for me (in terms of escorting my mom on her trip *dad got senior problems already aka slow walking phase) both of them won’t have any problem in applying for the VISA as they are frequent travellers. My only concern is my part. As I am not registered to join the convention and my mom will sponsor my expense. I have my own bank statement and I work in the family business. Thus, most of my documents will be provided by my mom’s company. And would you recommend us to select the same appointment date? Or does the embassy require an individual appointment of application? Many thanks for all the tips in advance! Hi AJ, best to book the same appointment date. Your application will still be assessed individually but it helps that they see whom you’re traveling with. My only addition is to write a letter explaining your situation — that you’ll be accompanying your mom to a conference. Note though that there have been some changes to the German process since February and we have yet to research on the new system, so what I know now might not be applicable. good pm! sir what if the ang pupuntahan mo is iceland, germany, amsterdam, paris and italy at lahat air flight iyong way mo? lumabas kapaba sa schengen zone nun? single traveller kasi. At ung ticket mo my connecting flight to london na lay over, okay lang ba iyon? kasi iyon lang available sa date na iyon. t.y. in advance sa response po. Hi Ashley, if may layover sa London, ibig sabihin lalabas ka ng Schengen Zone kasi di kasali ang UK sa Schengen Zone. You need a double/multiple entry visa for that.